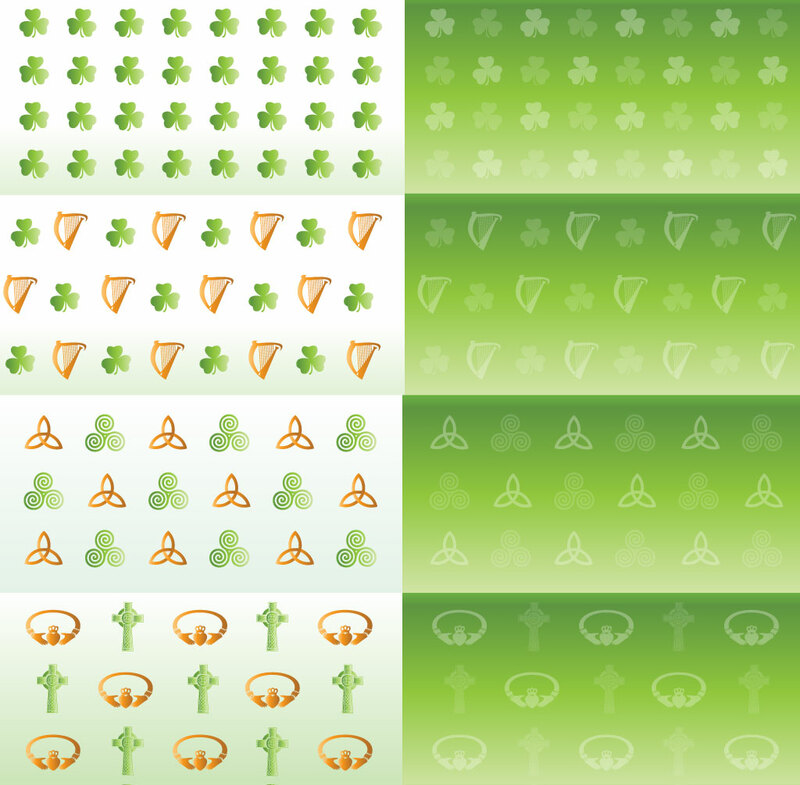 This free vector patterns download set comes with four Celtic symbol compositions in two different color schemes. Symbols used in designs include shamrock, Celtic triple knot, Celtic cross, Claddagh Ring, Celtic spiral and Irish harp. Ancient graphic in a modern setting for your Illustrator swatches and Irish themed projects. Tags: Celtic, Claddagh Ring, Cross, Harp, Ireland, Shamrock, Spiral, Triple Knot.